Do you remember Fresh In A Box? That startup which is making on-demand home deliveries of vegetables? Those guys are not only delivering vegetables but also fuel to anyone over 60 years old, medical staff and critical care workers. Yes, Fresh In A Box delivers fuel to these kinds of people ONLY as the start-up says it wants to spare old people and the medical staff from queuing up for long hours, which may take a toll on them and their work progress. 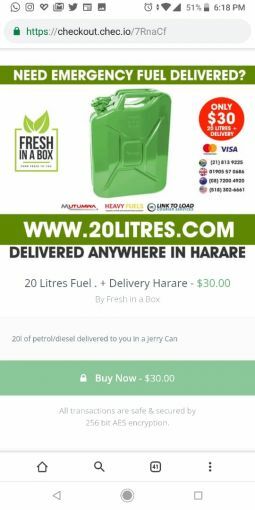 The chronic shortages of fuel that have lately rocked the country has prompted Fresh In A Box to broaden its on-demand delivery offerings. 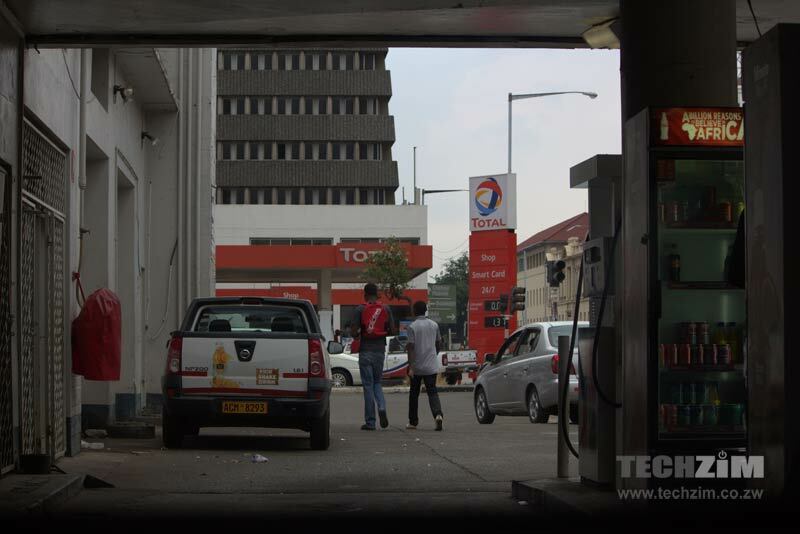 Call them anywhere in Harare when you are in need of fuel, they will deliver it. According to a guy I spoke to at Fresh in A Box, they are getting constant supplies of fuel so you can bank on them when your senile sekuru, or sick mom who wants to go to the hospital for a checkup. First off, does Fresh In A Box own a fuel station? No, they don’t. Fresh In A Box, has partnered with a supplier of bulk and retail petroleum called Heavy Fuels, which they work with to deliver fuel to you. Essentially, Fresh In A Box is providing logistics as it is helping Heavy Fuels to deliver fuel 60-year-olds, medical staff critical care workers, who most need the home delivery of fuel. And like I said before, the fuel is delivered in jerrycans. In keeping up with the government’s requirements, Fresh In A Box said that they have safety kits that are required to carry when transporting fuel. Which makes them law-compliant. How much and how many liters can you buy? Apparently, you can buy as many liters of diesel or petrol as they can deliver. But the lowest amount you can buy is 20 liters. For those 20 liters, you pay $30. Is it $30 US Dollars or bond? 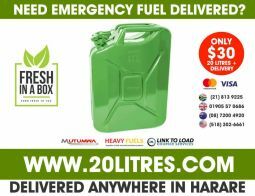 If you are in Zimbabwe, you can pay using EcoCash or OneMoney to for the home delivery of the fuel. Depending on your location, Fresh In A Box charges you between $5-15$ bond notes for the delivery service. If you are in the UK or anywhere outside Zimbabwe and want to buy fuel for someone in Zimbabwe, you just pay using your Mastercard, Visa Or Paypal account. How can you order fuel with Fresh In A Box? 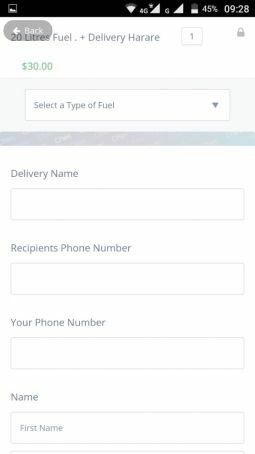 After filling in the form, you then have to wait for minutes or hours for Fresh In A Box to deliver your fuel. How can you contact Fresh In A Box? In an earlier version of this article, we wrote that Fresh In Box did not disclose who their partner in delivering fuel is and that the only payment option is MasterCard. This was an oversight on our part as we used information on one flyer we saw and we missed the name of their fuel partner on that flyer too. We have updated this article with the correct information. We apologise for this error and we have since apologised to Fresh In A Box too. Lame. we fighting to use bond notes for fuel and here you are trying to be clever for nothing by delivering fuel and making us pay in forex nxaaa. its better to wait in line 2hours and pay in bond notes. Well they have to be commended for inititiative but as part of the overall push for transparency one has to ask where they are sourcing fuel and how they are paying! Also imagine in this POOR banking climate if you desperate for fuel and now the payments fail or do not reflect etc. we could be stranded for days! Daylight robbery. Black market chaiyo. Petrol in US$ should cost around US$1 and what is that 50c for. Makoronyera atanga.